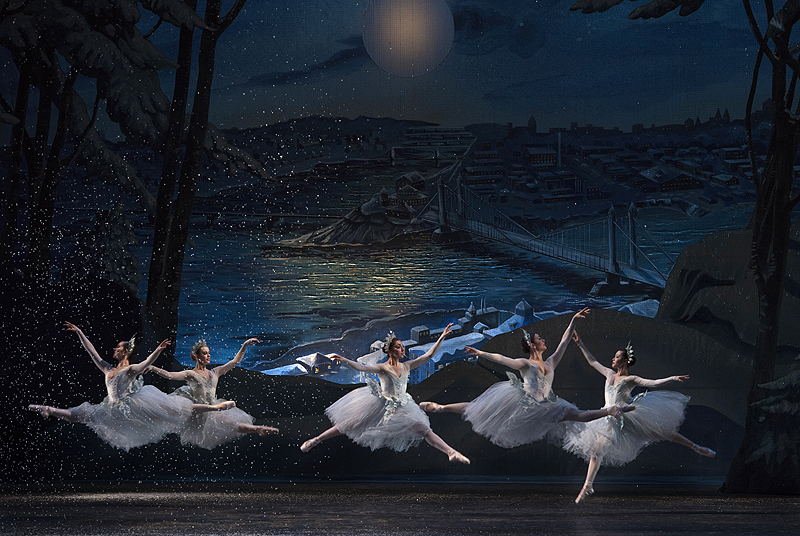 It would be difficult to imagine Christmastime in Pittsburgh without The Nutcracker. Pittsburgh Ballet Theatre’s holiday crowd-pleaser is back on stage at Benedum Center through December 27th. Audiences of all ages are enamored by its enchanting sets, candy-colored costumes, and passionate choreography, beautifully wrapped together with Tchaikovsky’s fantastical score. As the story unfolds, don’t miss the Pittsburgh touches such as the large proscenium clock, inspired by the Kaufmann’s department store clock. 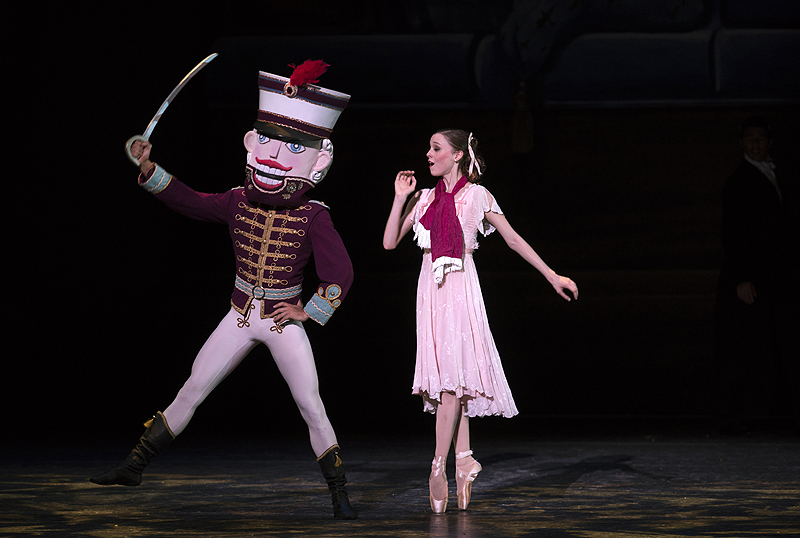 The Nutcracker is based on the classic tale by German author E.T.A. Hoffman. Since its premiere in 1892, it has become one of the most popular ballets of all time. PBT’s staff and dancers have graciously allowed us to present a rare look at this year’s production both backstage … and on stage. Please click on the photo below to activate “The Nutcracker” slideshow. Soloist Hannah Carter and principal dancer Yoshiaki Nakano rehearse onstage at Benedum Center before doors open for The Nutcracker. Carter was playing the role of Mrs. Stahlbaum that night. 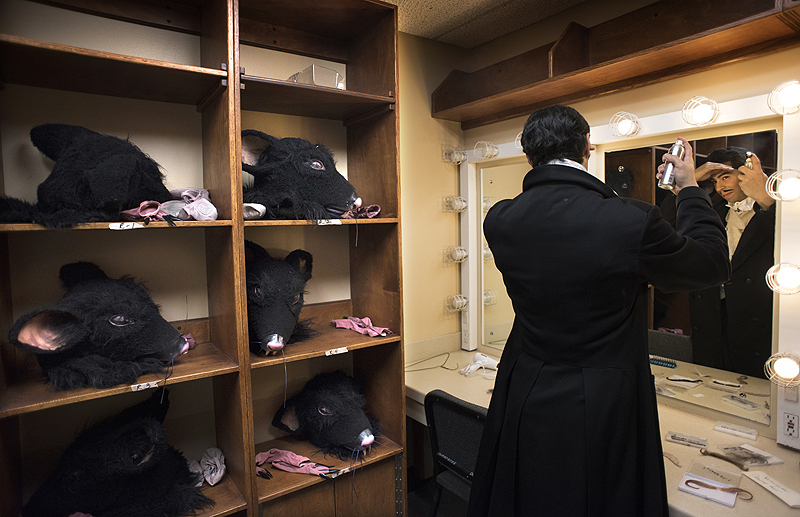 Soloist Alexandre Silva applies hairspary in the dressing room he shares with props for The Nutcracker. Silva was performing the role of Drosselmeyer that night. Corps dancer Caitlin Peabody puts on earrings as she prepares for her role as Snow Queen backstage with other leading ladies. 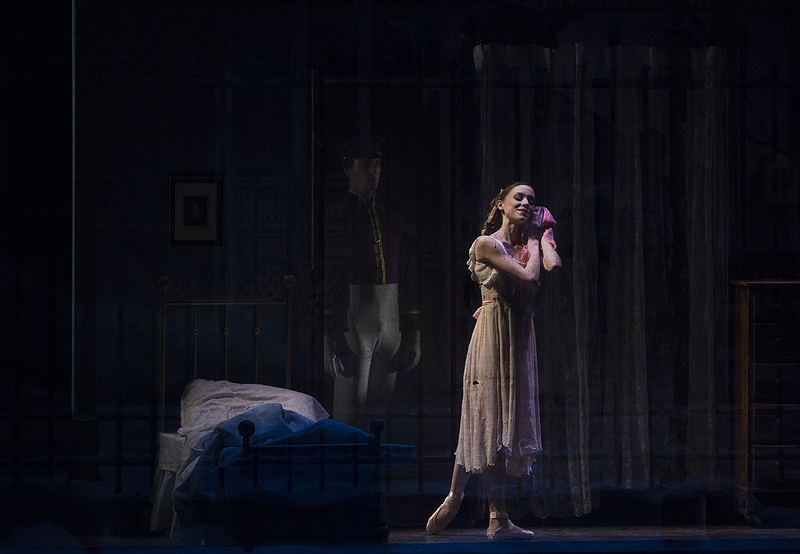 Marie (Molly Wright) discovers that her beloved Nutcracker (Ruslan Mukhambetkaliyev) has become life-sized and can rescue her from the rats and mice. 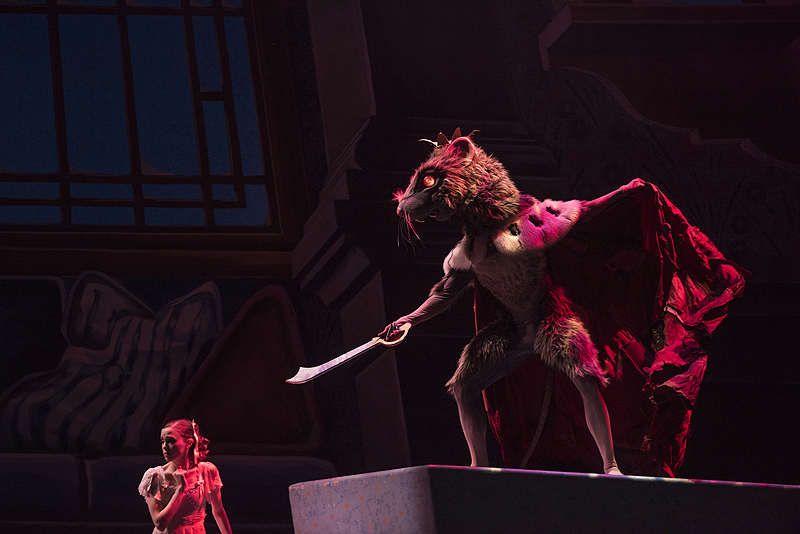 The Rat King (Alejandro Diaz) taunts Marie. 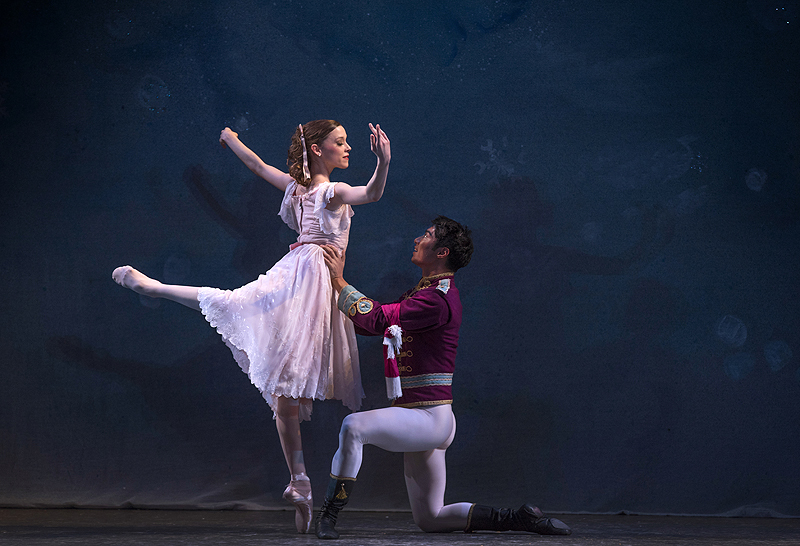 Marie dances with the Nutcracker (Ruslan Mukhambetkaliyev) after he is transformed into a handsome prince. Snowflakes sparkle in the Journey Through the Snowy Forest scene, which features Pittsburgh's unique topography and a view of the Point at the turn of the 20th century. 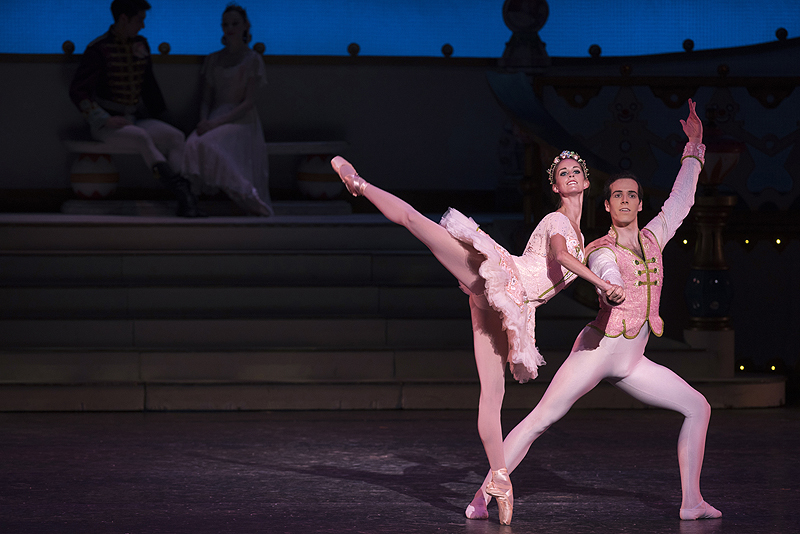 The Grand Pas de Deux with the Sugar Plum Fairy (Danielle Downey) and her Cavalier (Cooper Verona). 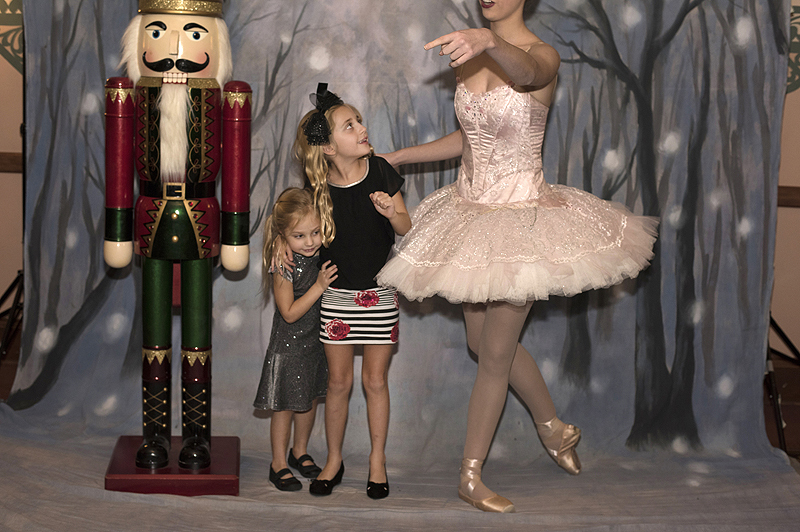 During intermission Scarlett Curtin, 4, and Gianna Curtin, 8, of South Fayette Township, pose with the Nutcracker and a Sugar Plum Fairy in the Benedum Center lobby. The story ends with Marie awakening from her dream in her bedroom to find her scarf and the Nutcracker Prince.